Nick has been a patron of the Theatre Royal Plymouth for over 30 years. He has worked with a number of organisations in and around Plymouth including the University of Plymouth, the Plymouth Development Company, Plymouth Science Park, UTC Plymouth, KARST and Plymouth Marine Laboratory. His love of theatre, in all its aspects, grew from his early years when his family were regulars at Windsor Theatre. Having got the ‘bug’ Nick enjoyed theatre across the country from Sheffield to Bristol. Whilst in London he saw the development of The National Theatre out of its home in the Old Vic to South Bank and the development of the pub theatre at The Orange Tree, Richmond. He joined the board of trustees of TRP in 2010 and was appointed chair in March 2016. Nick enjoys every aspect of the work the Theatre Royal Plymouth provides from the panto to the new plays in The Drum and is proud to be able to support the work of this amazing Plymouth institution. Bronwen spent her professional career in education and local government in the Midlands and Plymouth where she was Director of Education and then Director of Services for Children and Young People. Currently Vice Chair of the Board of Trustees at Theatre Royal Plymouth she is also a member of the Audit Committee. Following retirement from full-time work Bronwen undertook education consultancy support work for three years before becoming a School Governor and a Non-Executive Director Board Member of the REACH South West Multi Academy Trust, where she is also Chair of the Education Standards Committee. 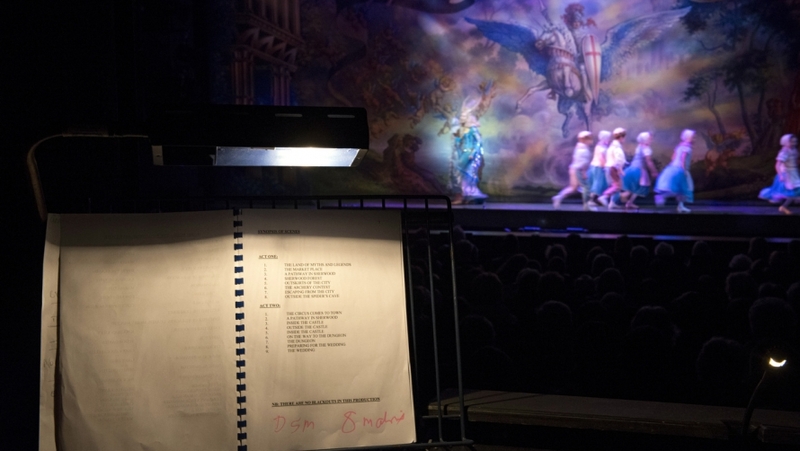 A lifelong interest in the performing arts and theatre in particular was forged from regular school organised trips to the Belgrade Theatre Coventry and the Royal Shakespeare Company in Stratford upon Avon. Bronwen has a particular interest in championing the interests of children with special needs which is how she came to know and champion TRP’s Funky Llama programme and other outreach projects. Francis has lived in Devon for the past thirty years. He is a Fellow of the Institute of Chartered Accountants and was the Senior Partner of PricewaterhouseCoopers in Plymouth. After retiring in 2009 he became a Trustee of Theatre Royal Plymouth in 2010. He brings a wealth of experience of finance, audit and risk management in both the private and public sectors and currently chairs the Theatre’s Audit and Risk Committee. As a regular theatre-goer with eclectic taste, Francis enjoys the breadth of productions TRP presents and produces, from the most challenging and thought provoking to the most populist entertainment. He is delighted to support the TRP charity as a Trustee. Paul has lived and worked as a lawyer in Plymouth for over thirty years, latterly as the Senior Partner of Wolferstans between 2002 and 2013. He is currently a Tribunal Judge. Paul has, over recent years, been Chair of Plymouth Growth Board, Chair of the Chamber of Commerce, President of Plymouth Law Society, Chairman and President of Plymouth Albion Rugby Club and a Governor of Plymouth College of Art. As a Trustee and Director of TRP since 2010 Paul is delighted to serve on the Board of Theatre Royal Plymouth, setting strategy and minding the governance of this wonderful theatre. He is immensely satisfied to have been able to support the TRP Team to put on top quality productions that offer something for everyone in our City and region to enjoy. James Pidgeon is currently Director and Chief Executive at Shoreditch Town Hall, an events and cultural space housed in one of the grandest former civic buildings in London. Previously, James assisted on the producing of the Watch This Space Festival and Platforms programme at the National Theatre, worked in the Director’s Office at Battersea Arts Centre, and spent three years supporting the Southwark Community Projects team at Shakespeare’s Globe. He regularly undertakes guest lectures in producing and arts management at the likes of Royal Central School of Speech & Drama and Royal Holloway, University of London. James was thrilled to join Theatre Royal Plymouth as a Trustee in July 2017. As someone born and raised in Devon, James is incredibly passionate about the theatre’s staggering breadth of work and is proud to play a very small part in an organisation that so evidently has an impact on communities across Plymouth, the region, and beyond. Sarah has over 20 years’ experience as a communications and digital professional. Most of her career has been spent working in London within multiple industries from television to banking. Since moving back to the West Country in 2013, Sarah has been Head of Content at the Met Office in Exeter. She manages a creative team of presenters, graphic designers and videographers producing 24/7 content for social media, broadcast and news and media websites. Born and raised in Plymouth, Sarah has had a lifelong passion for theatre since participating in young writing schemes in the 90s, going on to have plays performed at the Barbican Theatre, The Drum Theatre and the Cygnet Theatre in Exeter. This experience encouraging her to go on to study Theatre and Media Drama at the University of South Wales. Sarah is delighted to support the TRP as a Trustee and give something back to an organisation that has always been a source of pride to Plymouth, and one that has provided her with access to world-class theatre since she was a child. Shona is a qualified certified accountant and deputy managing partner of Thomas Westcott Chartered Accountants, a regional accountancy practice with 17 offices across Devon and Somerset and a team of 250 people. She is Head of Audit for the practice and has a detailed knowledge of UK and International Accounting Standards, corporate governance and all aspects of financial reporting, and the systems required to support a successful business. She has extensive experience of assisting clients with reviews of their financial budgets and strategies, and implementation of financial systems and controls. Shona will be a member of the Audit and Risk committee. Shona lives with husband and two young sons near Holbeton and regularly attends the theatre to see a variety of performances, appreciative of the broad range TRP has to offer including many performances to appeal to younger audiences as well. She is delighted to become a trustee.